J & T Enterprises will again host a day of fun called “Picnic in the Pasture”. There will be food, horseback riding, fishing, games for children and adults, live entertainment and great food. The date is October 7, 2017, from 12 noon until dusk at the Wells Ranch located at 933 Wells Rd., Bentonia, MS 39040. This event is a family organization that focuses on providing social activities that give guests an opportunity to fellowship, relax, have fun and enjoy themselves in a peaceful atmosphere. The “Picnic in the Pasture” event has been held annually for over twenty years. There will be food, horseback riding, fishing, games for children and adults, live entertainment and great food. 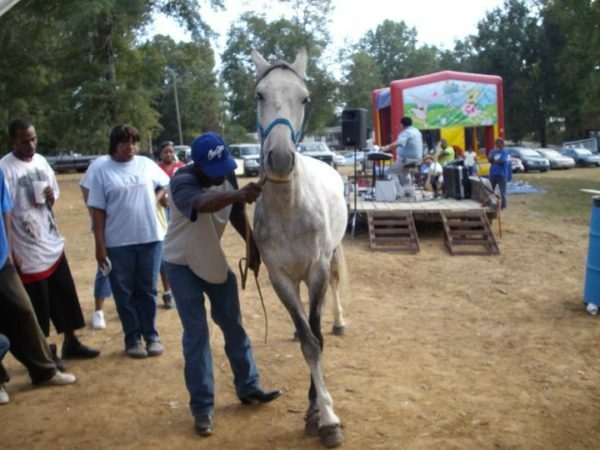 It is held on the Saturday before the Second Sunday – October 7, 2017, from 12 noon until dusk at the Wells Ranch located at 933 Wells Rd., Bentonia, MS 39040. If you have questions, please contact me at (601) 624-1872. For more information, please refer to the facebook page for J&T Enterprises. Bring your lawn chairs and fishing rods. Sit back, relax, and enjoy the food and entertainment on the Ranch.